Mrs. Sihler’s husband, Ken Sihler, passed away this weekend after a serious illness. Words cannot express the compassion and love that surrounds Mrs. Sihler and her family at this time. Mrs. Sihler’s beautiful vocation and commitment to our community is truly inspiring, she is so beloved and special to us all. Please continue to hold Mrs. Sihler and her family in your prayers. Mr. Sihler’s mass will be at Christ the King Catholic Church on Saturday, April 6th at 10:00 a.m. A reception will follow the services at Saint Stephen’s parish hall (1101 Keaveny Ct. Walnut Creek). We encourage you to reach out to Mrs. Sihler at this time with well-wishes and cards. We ask that you deliver, and or mail these cards to our main office at Christ the King Catholic School. We will collect all notes and cards and deliver them to Mrs. Sihler. Please join us in praying for Mrs. Sihler's husband who went to heaven this week, for Mrs. Sihler and her family as they mourn his passing; for the great aunt of Joshua (Gr. 4) and Madeline (Gr. 2) who is seriously ill and the Symonds family as they spend this precious time with her. We also ask you to remember others who are suffering illness, and those who are experiencing loneliness or other challenges. May God keep these friends and families in His tender and loving care. Auction Items: If you haven't picked up your items from the Auction (online and event) please pick them up in the school office as soon as possible. Enjoy!! Thank you for our Bangers & Mash Hot Lunch! 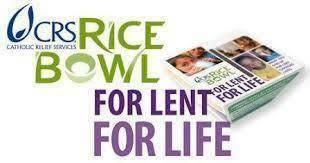 We are sending home “Rice Bowls” from Catholic Relief Services. Small sacrifices can add up to gifts that can change lives. Please discuss as a family the ways you might use these as part of your Lenten practices. During Holy Week, you can bring in your donations directly to church, or send them to school on Holy Thursday. We will add them to the parish’s donations. Visit crsricebowl.org for more information about the people who are being helped through this program. Have a blessed Lent, and thank you. 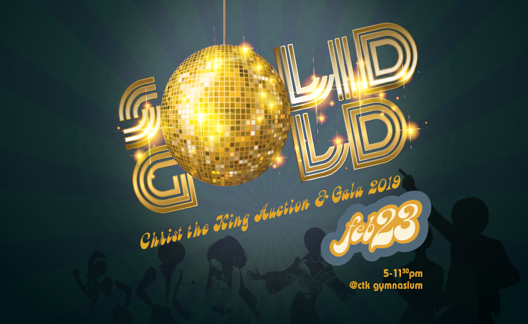 Get Ready for our 2019 Christ the King Festival! Order your T-Shirt now! T-shirts are available for order here . Orders are due tomorrow, Wednesday, March 20th. 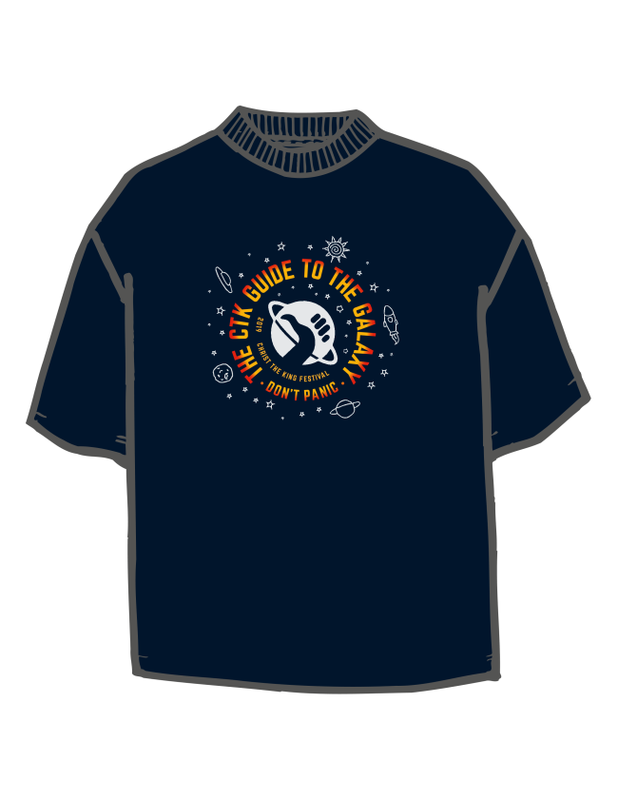 T-shirts are navy background with the logo on the front. Remember that students can wear Festival t-shirts from any year during Festival Week! CTK Talent show is coming! Have you thought of your talent yet? Picked out a song? CTK Talent Show will be held Saturday, May 18 th from 2:30 ~ 4:00pm. For those planning to perform, click here to fill out a permission slip, then return it to the school office. The talent show practice will be held on Wednesday, May 8 th from 2:15 – 3:30pm in the amphitheater. Email Amy Ghisletta ( aghisletta@comcast.net ) or Marisa Cox ( marisacoxmama@gmail.com ) with any questions. Can’t wait to see all of CTK’s talent!!! Please email christthekingfestival@gmail.com if interested or if you would like more information. 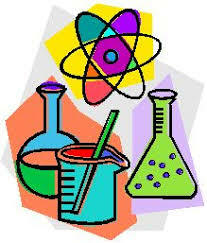 Go Science! Last weekend a group of our seventh grade students participated in the Contra Costa County Science Fair at Los Medanos College in Pittsburg. All of these students did a great job representing Christ the King! Kailey Alumbaugh and Sofia Meyer won third place in the Behavioral Science Category. Elaina Peters, who represented her and Niccolo Ratto’s project also won third place in the Biological Science Category. Charlotte Beyler and Ava Chapman won third place in the Environmental Science Category. Maddie Karst, who represented her and Mia Brinker’s project, won first place in the Behavioral Science Category. This project was also chosen as an alternate to the State Science Fair and was nominated to participate in the Broadcom National Science Fair. If their project is chosen for Broadcom, they will be flown to Washington D.C. to compete at the national level. Congratulations to all our seventh grade students for their hard work and accomplishments! Thank you for proudly representing Christ the King School. If you didn’t know, Groundhogs Day is an American and Canadian holiday. The meaning for this holiday is to find out whether spring will come early or if winter will continue for a couple more weeks. The way that we find this out is through Punxsutawney Phil. Punxsutawney Phil is the official groundhog that confirms the timing of winter in the U.S. He has seen his shadow 104 times and has been left shadowless 18 times. 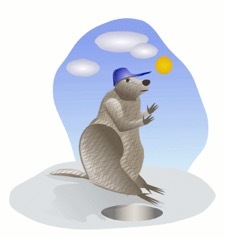 On February 2, 2019, Punxsutawney Phil did not see his shadow- this means that spring will be coming early! Phil lives in Punxsutawney, Pennsylvania and is temporarily living in Gobbler’s Knob, a rural area about 2 miles southeast of town. Groundhogs day was first celebrated on February 2, 1887 at Gobbler’s Knob, Punxsutawney, Pennsylvania, but Groundhogs day gets its roots from the ancient Christian tradition of Candlemas. Candlemas was first celebrated by Europeans who needed to know the amount of time that winter would stay. They used a hedgehog instead of a groundhog but later emigrated to Pennsylvania, where groundhogs were plentiful. The month of February is dedicated to African Americans. It honors the people who fought for their rights. The people who were forced to do things like stand on buses because whites thought they were better than them. We don’t just honor important people in this month. We honor everybody who fought even in the tiniest way. In 1619, Africans were brought to Jamestown. Wealthy people started using them to do all their work. They treated the Africans like they were animals or just meant to be servants. Africans weren’t paid. One of the ways African Americans amused themselves was music. It helped them have fun after a long day's work. ﻿Now people are treated equally. Towns aren’t segregated like they were after the Civil War. Most people are treated with respect. Valentine's Day is on February 14th. Classes did something different things to celebrate the day. Fifth grade made cards with compliments and some people gave out candy! They also had brunch with bagels and snacks. Fourth grade made goodie bags and passed out candy. First grade made valentines and paced them out along with candy. 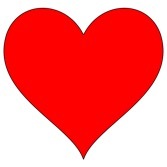 The history of Valentine's Day started in the year 268 AD, which is more than 1,700 years ago! Emperor Claudius wanted a fierce and strong army of men. However, not a lot of men wanted to join. He learned that when the men are in love or had a family, they tended to be more cautious so he outlawed marriage. Valentine's Day is the most romantic day of the year. It is supposed to be the one day of the year that you send your love, or whoever you like, a gift or act of true love. Some interesting facts about Valentine's Day that you probably didn’t know are: Valentine’s Day is also referred to as Saint Valentine's Day. Back then, on Valentine’s Day, people would send flowers to each other and said it was good luck. Each year, 9 million people give pets a present, too. One last one, every year on this day, teachers get the most cards. 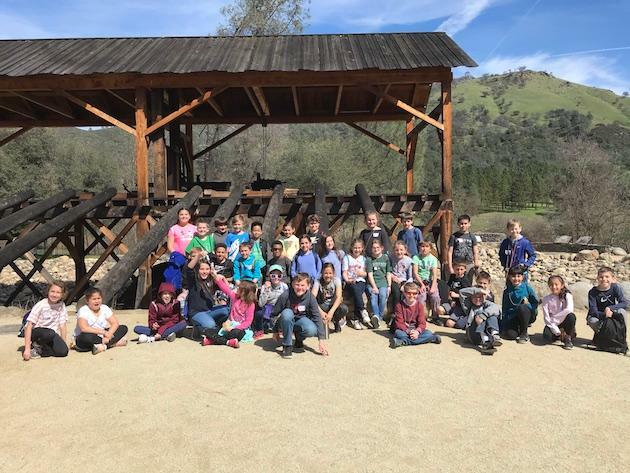 Did you know that the 5th grade went on a trip to the Delta? We went on a special research boat (or vessel) named Robert G. Brownlee . We were split up into four groups with another school and had four stations. One station was where we learned about plankton. We put a net into the delta, and the boat captain slowly drove in a circle. When the boat was moving, the net was catching the little-tiny plankton. After that, we saw the plankton in a microscope. Some were moving around and some stayed in place. Another station was the benthos station. First, we pulled a long black rope with a shovel to scoop up the mud. We did this a few times, and then when the instructor said it was enough, we stopped pulling. Next, she said if we agreed to protect the the Delta and the ocean we could put mud on our face. The next station was the Ichthyology station. Ichthyology is the study of fish. The instructor put fish in a bowl. We got research sheets of different kinds of fish. We had to feel and examine the fish, then guess what kind it was. The last station was the Hydrology station. Hydrology is the study of water. We learned you need to sort items in the trash, recycle, and not put household hazardous waste down the storm drain. ﻿ FUN FACT! #1 : The biggest plankton ever was 120 feet long. Most of them are microscopic. FUN FACT! #2: The Delta is 1,100 square miles. FUN FACT! #3: 100 wildlife species, 140 plant species, and 13+ fish species live in the Delta. Father Brian Joyce touched and reached many people. Having been baptized by him, I can at least say I met him. He came to CTK about 30 years ago with the intention of creating and teaching modern ways of religion. Father Brian Joyce loved the Raiders and snow skiing. He also loved doughnut holes and hot dogs, but that´s not the point. He absolutely had a passion for loving and welcoming all people. Not really knowing him, I didn´t know what he was most known for. 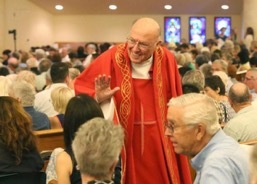 I soon learned that he was a well known homily writer and speaker. 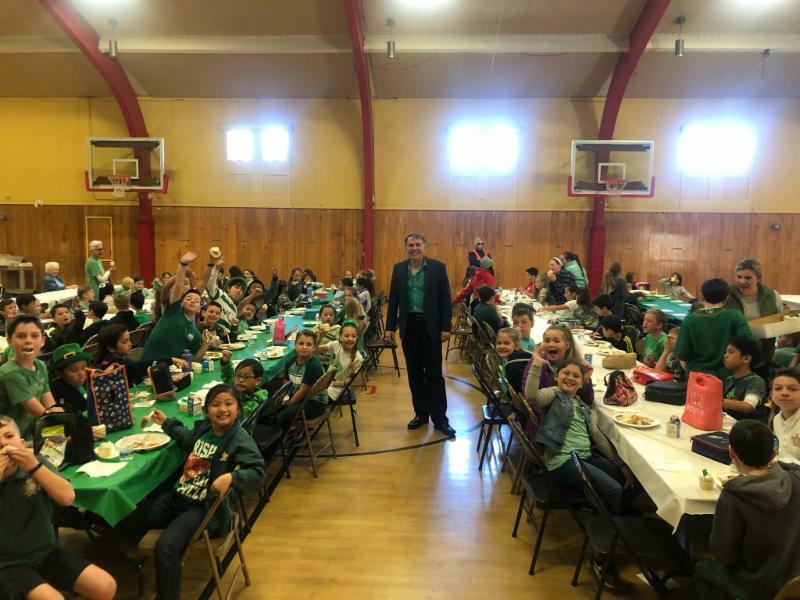 With his spiritual and wise ways, Father Brian Joyce had an amazing way of just straight out connecting and humoring people. Father Brian Joyce was a big believer in social justice. He would travel across the country to stick up for and help others dealing with social injustice. While interviewing Mrs. Carol and Mrs. Bucci, it dawned on me how much he meant to this school. Father Brian Joyce was a spiritual priest who really meant the world to CTK. The second grade built leprechaun traps using simple machines. We tried to catch leprechauns. The leprechauns came in our room and left footprints on our traps and made a mess of our room. 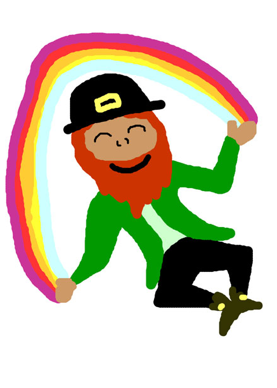 We were excited because we wanted to see if anyone caught a leprechaun, but nobody did! Spirit-wear Sale now open until March 31st, don't miss your chance to buy some fun school gear! 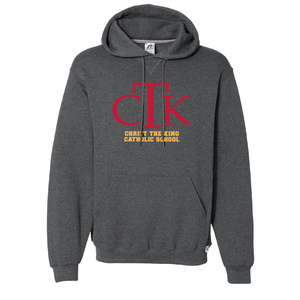 The Parent Association is excited to announce Spirit-wear Sales for CTK Students and Families. We have some new items, check them out here: https://ctkspiritwear.itemorder.com/sale. Proceeds go to Teacher Bonuses, Art and Garden Awareness! Adult and Child sizes are available, there are no returns or exchanges so please review the sizing charts on the website. Spirit-wear will not replace uniform requirements, but will share our school spirit outside of school and on the occasional free dress day. 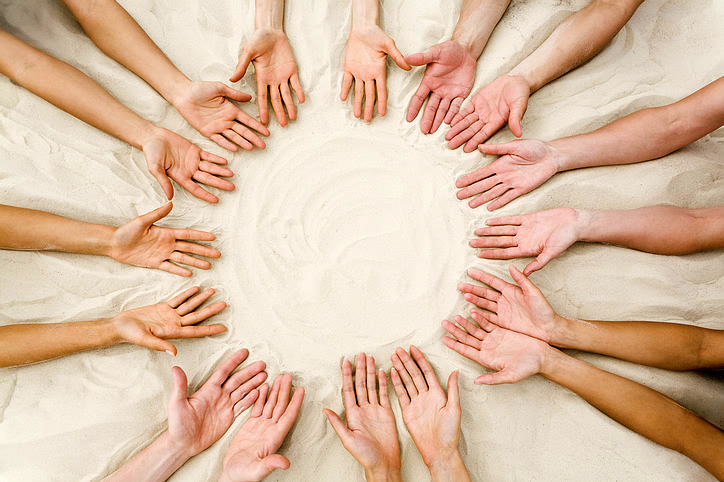 We hope you have been keeping track of all your Family Service hours! Click here for our log sheet to help you out. As you finish a sheet, please turn it in to the school office. Hours for the 2018-2019 school year need to be completed by May 31, 2019. Thank you, all your help makes a huge difference!! Join us for Bingo! The Filipino Society of Christ the King is hosting an evening of Bingo on Saturday, March 23rd from 2-5 pm in the Parish Hall . Click here for more information! Click here to view March's P artners in Faith. This issue is filled with lots of interesting information. Renting St. Stephen's Hall: Please Click here for more information. Virtus Safe Environment Training : Click here to access the online training site and click here for instructions. Y earbooks : Click here to order your yearbook. CTK school code #1069319. CTK Concussion Protocol: Click here.